It was just announced that the final segment of I-485 outer loop will be named in honor of H. Allen Tate, Jr, the founder and CEO of the Allen Tate Companies. Mr. Tate has served on the Charlotte Chamber’s Regional Roads Committee, Toll Roads Solutions Committee and others. Some peers feel without his drive and involvement throughout the years, I-485 would not be completed for many more years. The Charlotte Chamber President & CEO, Bob Morgan, said ” For the past 50 years, there has been no greater champion than Allen Tate for planning, funding and building of roads to meet the demands of our region’s growing population”. What a great honor for a wonderful man. Congratulations Mr. Tate! No date has been set for an opening or naming ceremony but it is in the works. Own a piece of history…Lincoln County historic farm #3 can be yours! A beautiful setting of grassy fields, open pastures and a 1890 farmhouse completely renovated in 2004. This property also features a 60 x 36 barn, hay barn, outdoor storage buildings, electric fencing, fruit orchard, blueberry bushes, garden and box planters. Keep as a working farm or a private country get-a-way! 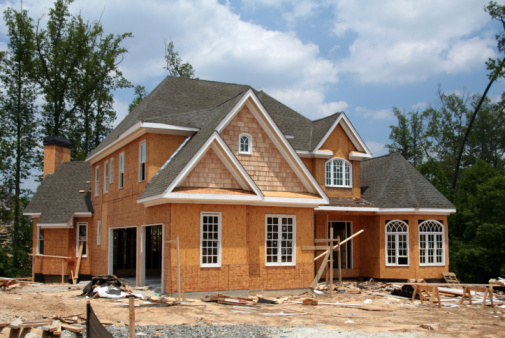 Real Estate Tips: Buying new construction? Yes, you need a Realtor®. With new home sales in 2013 up 16.4 percent over 2012, it’s clear that many homebuyers are considering new construction homes again. And, since most new developments have an agent on-site, new construction homebuyers may wonder why or if they need a Realtor®. Let’s take a moment here to examine the question more closely. Buying a home is likely the biggest investment you will ever make, so it’s generally a good idea to have a Realtor on your team. A Realtor will help you learn about buying a new home, find a builder in your target location and budget, help you explore the latest building trends and become a more educated consumer. When looking at new construction developments, a Realtor can help you find and compare different communities, builders and floor plans. If you make the decision to go with a particular builder, it is the on-site sales agent, who works for the builder, who will help you make flooring and lighting selections and write your sales contract. Your Realtor will help you negotiate the contract, explain the process and be your advocate throughout the transaction. Using a Realtor as your representative in this transaction won’t increase the price of the home, nor will not using a Realtor reduce the price of the home. Buying a newly constructed home can be more complicated than it first appears. Representation by a Realtor gives you peace of mind, and an expert set of eyes to make sure that you get the home you expect and deserve. The price of any item (including residential real estate) is determined by ‘supply and demand’. If many people are looking to buy an item and the supply of that item is limited, the price of that item increases. According to the National Association of Realtors (NAR), the supply of homes for sale dramatically increases every spring. Putting your home on the market now instead of waiting for the increased competition of the spring might make a lot of sense. Contact The Lee Ann Miller today to get your home Sold! Many sellers feel that the spring is the best time to place their home on the market as buyer demand increases at that time of year. However, the fall and winter have their own advantages. Here are five reasons to sell now. At this time of year, only those purchasers who are serious about buying a home will be in the marketplace. You and your family will not be bothered and inconvenienced by mere ‘lookers’. The lookers are at the mall or online doing their holiday shopping. Housing supply always shrinks dramatically at this time of year. The choices for buyers will be limited. Don’t wait until the spring when all the other potential sellers in your market will put their homes up for sale. One of the biggest challenges of the 2013 housing market has been the length of time it takes from contract to closing. Banks have been inundated with both purchase and refinancing loan requests. Both of these will slow in the winter cutting timelines and the frustration these delays cause both buyers and sellers. If you are moving up to a larger, more expensive home, consider doing it now. Prices are projected to appreciate by over 25% from now to 2018. If you are moving to a higher priced home, it will wind-up costing you more in raw dollars (both in down payment and mortgage payment) if you wait. You can also lock-in your 30 year housing expense with historically low interest rates right now. There is no guarantee rates will remain at these levels in years to come. Look at the reason you decided to sell in the first place and decide whether it is worth waiting. Is money more important than being with family? Is money more important than your health? Is money more important than having the freedom to go on with your life the way you think you should? You already know the answers to the questions we just asked. You have the power to take back control of the situation by pricing your home to guarantee it sells. The time has come for you and your family to move on and start living the life you desire. That is what is truly important. Contact your favorite Lake Norman real estate team today to get your home on the market. It is looking like the long-awaited real estate recovery has taken off! While the past few years have presented a few challenges to sellers and buyers alike, 2012 has come out of the blocks very strong – exceeding our expectations. According to the January report from the Carolina MLS service which serves Charlotte and the surrounding counties, the MLS closed transactions increased 9.2% January 2012 as compared with January 2011. However, the Allen Tate Company Charlotte region closed sales increased 21.7% – our growth is more than double the overall market growth! What does that mean for buyers and sellers? Great news on both fronts. For buyers, you should be feeling more confident that the economic rebound we have seen in the past six months provides job security. You also should be pleased with the incredibly low rates for qualified buyers – hovering around 3.25% for 15-year fixed and 3.75% for a 30-year FHA loan. If you plan to be in the house for a shorter period, 5/1 ARMs are near 2.5%. And that’s BEFORE the tax benefits for mortgage interest deductions! For sellers, you are seeing more buyers in the market as indicated by the increase in sales activity. Properties placed under contract so far in 2012 is nearly 60% above 2011 numbers. This is a very strong signal that the housing recovery is here. A word of caution – there is quite a bit of “shadow inventory” that comes in two forms. The reported foreclosure inventory has yet to be consumed by today’s buyers. Additionally, many non-distressed sellers who chose to wait for the recovery may now test the market again. As this inventory enters the market, it is not likely that we will see appreciation for the short-term. If you are interested in what the market is like in your neighborhood, call The Lee Ann Miller Team or visit our website at LeeAnnMiller.com. If you use our TateMap Interactive Search function, you can see what the houses in your market are listed for as well as two years of recent sales activity.